If you’re looking for some inspiration, you’re in luck. Booksellers will soon see a massive influx of powerful and informative new environmental books. 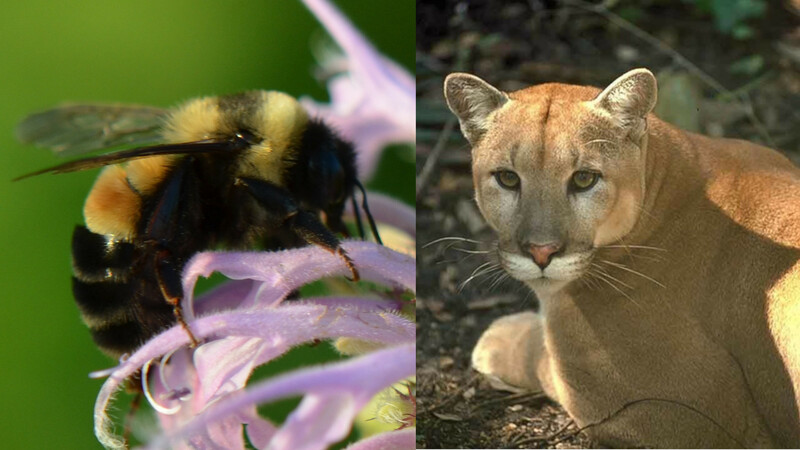 They cover everything from pollinators to animal cognition and predator coexistence to the morality of environmental protection. We’ve picked the 17 best eco-books of April 2019, including titles for activists, scientists and eco-friendly kids. Links are to publishers’ websites, and you can also find any of these books at your favorite store or library. Pick the ones that are best for you and then put this new inspiration and information to good use saving the planet. 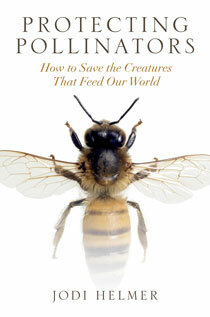 Protecting Pollinators: How to Save the Creatures That Feed Our World by Jodi Helmer — An in-depth look at the pollinator crisis (which is affecting bees, as well as bats, birds and other pollen-spreaders) and what people around the world are doing to reverse the declines. A buzz-worthy book. Down From the Mountain: The Life and Death of a Grizzly Bear by Bryce Andrews — A cautionary tale of human-grizzly coexistence (or lack thereof). The book helps to illustrate the broader issues affecting grizzlies as their populations grow, pushing them closer and closer to humans (and, sadly, their guns). Beyond Words: What Elephants and Whales Think and Feel by Carl Safina — A new version of Safina’s bestselling book about the inner lives of animals, adapted for young-adult readers. Our Planet by Alastair Fothergill, Keith Scholey and Fred Pearce — The directors of the BBC’s Planet Earth and Blue Planet have brought their talents to Netflix for a new documentary series about conservation. This gorgeously photographed coffee-table book expands upon the documentary itself and gives us the chance to slow down and absorb every detail. David Attenborough, who narrates the TV series, provides the foreword. The Sea Turtle Mystery — The famous “Boxcar Children Mysteries” series tackles the thorny issue of sea turtle egg poaching, a major threat to the survival of all sea turtle species. Can the kids solve the crime and save an endangered species? Geez, I sure hope so. 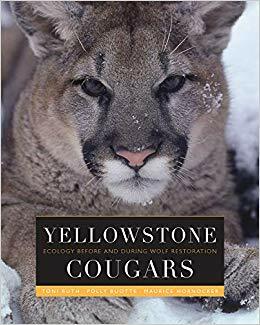 Yellowstone Cougars: Ecology Before and During Wolf Restoration by Toni K. Ruth, Polly C. Buotte and Maurice G. Hornocker — This massive book (525 pages, weighing 1.7 pounds!) is the result of years of fieldwork by the authors. It reveals how wolves and cougars compete with each other and sets the stage for what may be the next era of carnivore conservation and management in the West. Don’t Let Them Disappear by Chelsea Clinton and Gianna Marino — A delightful kids’ book about why tigers, elephants, rhinos and other species are at risk and what we can do to help. Also available in Spanish. Ocean Outbreak: Confronting the Rising Tide of Marine Disease by Drew Harvell — If you want to know more about diseases affecting marine wildlife, there’s no better person to turn to than Harvell, the scientist who led recent research into the starfish wasting epidemic affecting the west coast. Her new book examines starfish, as well as corals, abalone and salmon to define both the problem and the necessary solutions. Republic of Lies: American Conspiracy Theorists and Their Surprising Rise to Power by Anna Merlan — This isn’t strictly an environmental book, but you want to better understand why some people (and certain presidents) keep insisting that climate change is a hoax, then you need this on your nightstand. Prozac not included. Same River Twice: The Politics of Dam Removal and River Restoration by Peter Brewitt — A profile of three dam-removal projects in the Pacific Northwest with lessons for advocates throughout the world. 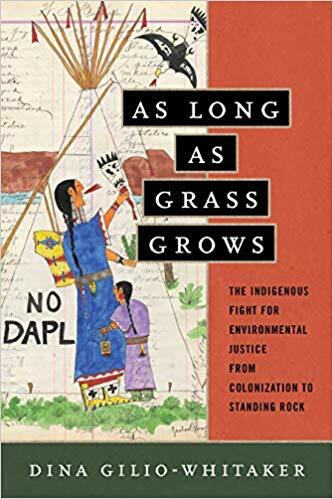 As Long as Grass Grows: The Indigenous Fight for Environmental Justice, from Colonization to Standing Rock by Dina Gilio-Whitaker — The history of indigenous resistance may offer all of us the strength we need to keep fighting, from the co-author of “All the Real Indians Died Off” And 20 Other Myths About Native Americans. 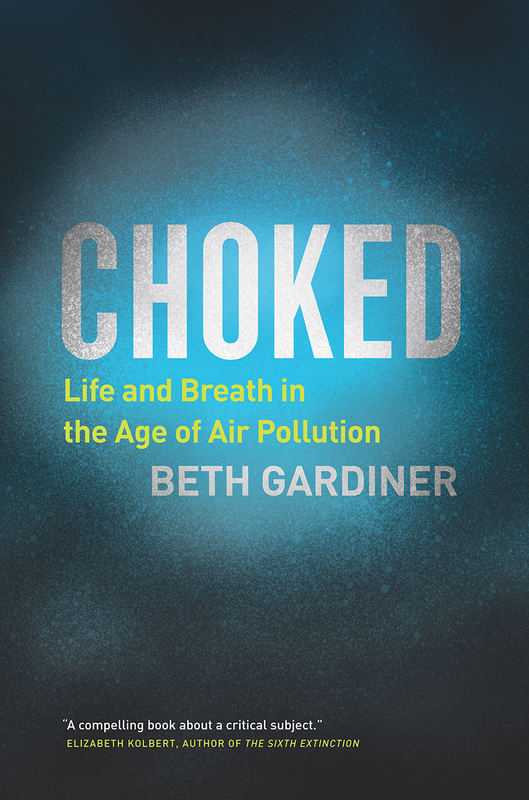 Choked: Life and Breath in the Age of Air Pollution by Beth Gardiner — My lungs hurt just reading the description of this book. Gardiner traveled the world to find out how pollution clogs our cities, hearts and politics. Along the way she uncovers the solutions that just may help us all breathe a little easier. Losing Earth: A Recent History by Nathaniel Rich — A book-length expansion of Rich’s widely shared New York Times Magazine article about how we could have solved the climate crisis in the 1980s — and maybe how we can put those lessons to better use today. Science Comics: Wild Weather by MK Reed and Jonathan Hill — The science of storms, meteorology and climate change in a fun, easy-to-read graphic format. Like everything in the “Science Comics” series, this is sure to entertain while it educates, no matter what your age. 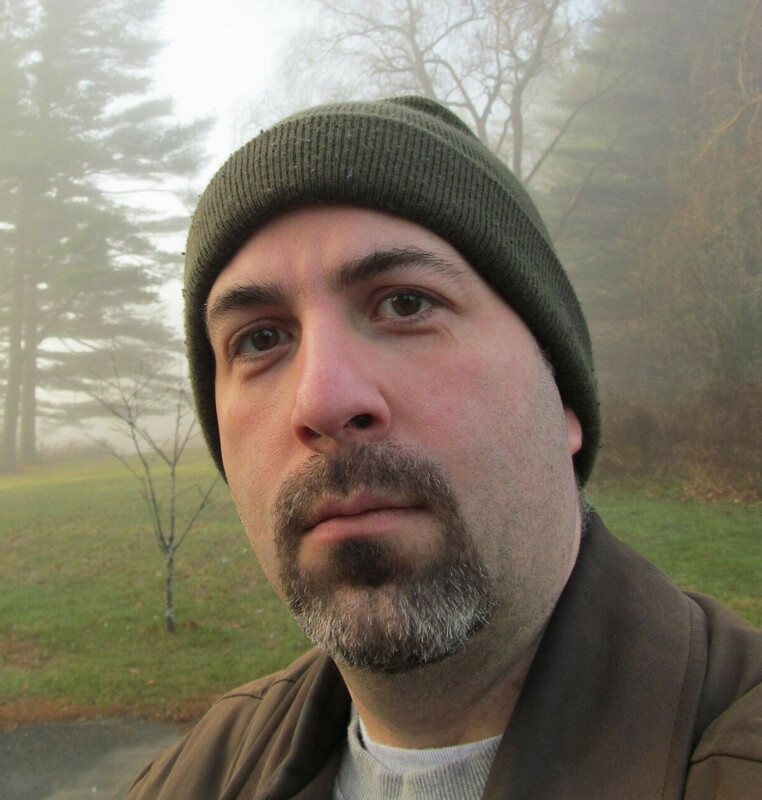 Falter: Has the Human Game Begun to Play Itself Out? by Bill McKibben — Be strong. No, seriously, that’s the ultimate message of this latest book by the acclaimed environmental activist. That’s our list for this month, but there’s plenty more to add to your reading lists. 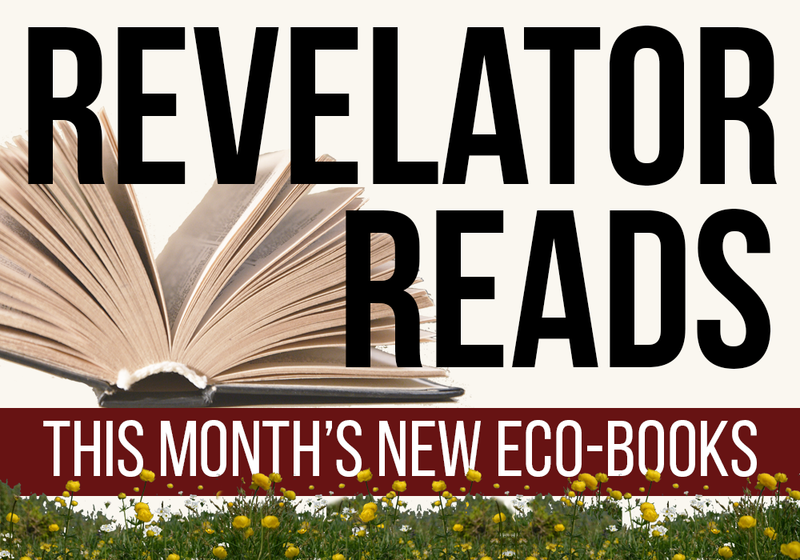 For dozens of additional recent eco-books, check out the “Revelator Reads” archive — and come back in just a few weeks for next month’s inspiring list.